A guitar strap isn’t necessarily the most glamorous piece of kit, and you don’t exactly grow up dreaming of their ideal strap, in the same way they will dream of their favorite guitar. However, they’re one of the many pieces of equipment that may surprise you with how effective and helpful getting the right one can be. Many of us just grab the cheapest model from the guitar shop or even get one included with the guitar we buy. This tends to be a pretty basic model and can be unreliable, poorly made or boring. The last thing you want is for your guitar strap to break or your guitar to come loose while you’re in a performance. If you’re an absolute beginner, the basic strap will do a job while practicing, but as you become more of a pro musician you will likely want to upgrade to one of the more sturdy, branded model of guitar strap. As it is not talked about that much, it can be a bit hard to know what is good and what isn’t. Obviously, the features included are all pretty similar but some do things a lot better, so what exactly are the criteria for working out if it is good enough for you. 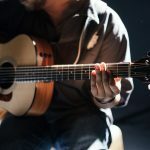 Sturdiness – As we’ve already mentioned, you want something sturdy that isn’t going to break or fall apart while you’re using it, and that the guitar will stay firmly attached to. Reviews – We can work a lot of this out with the guitar strap reviews available to us, as thousands of consumers and reviewers happily share their thoughts on guitars, which is the best way to see exactly what is on offer in each model, and a clear warning sign if a lot of people have been disappointed. Style – This is one of the few guitar accessories where it is totally acceptable to think about looks and style. 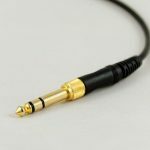 If you’re buying a new guitar lead for instance, looks don’t matter, but you do have to ‘wear’ a guitar strap, so it is acceptable to be concerned with how it looks and you can make a good statement. If you’re in a metal band, you might not want a pink flowery strap. Type of guitar – another big factor in your decision should be the type of guitar you are buying it for. 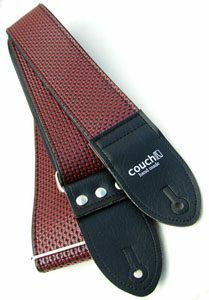 The best strap for acoustic guitars will be different to the best strap for electric guitar, and the best for bass guitar. Knowing which guitar you will be using it on has a big impact on your eventual decision. Brand. 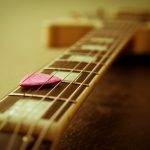 There are a lot of guitarists out there who have a loyalty to certain brands, and you can stick with brands such as Ernie Ball, Gibson and Fender when buying a guitar strap, too. This can be a really cool little quirk when you buy a guitar strap, many companies now exist allowing you to provide your own artwork and receive a unique and personalized strap. This can be great if you play in a band and allow you to put your logo on the strap for a professional look. Adjustable from 44-49.5 inches in length to make a comfortable fit for most guitarists. Tweed material over most of the strap with a vintage look. Leather ends with a cool Fender ‘F’, very recognizable for guitarists everywhere. Can be bought with other tweed accessories such as cases also made by Fender. 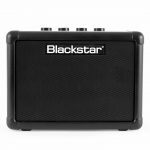 Can be used with electric, acoustic and bass guitars with ease. This is a great option and a quick look at the product pages for it will show you how well reviewed it is, with hundreds of satisfied customers leaving good reviews for this affordable yet high quality strap. For a bit more of a luxurious model, the Perris Leathers strap is another very well reviewed product offering a supple leather and a 2.5 inch wide, 52 inch long strap, which is quite long and great for bass guitarists or tall people! The material is truly very luxurious and a sheep skin pad on the inside means it is very comfortable and feels very easy on the shoulder as you wear it. Sturdy, well made and decently priced (especially considering the materials) mean that this is a very good option. Jim Dunlop is another brand synonymous with a lot of different guitar products, and this is one of the best straps available for a low price. It is very popular due to being easy to use and adjustable, pretty well made and available in a variety of different designs. Being able to choose how you want it to look is a big plus point and you can find the right one for your own style on or off stage. Dunlop offer picks, straps and loads of other guitar accessories, so we perhaps shouldn’t be surprised that this is a very good quality offering. It is adjustable, but not just a little adjustable, it spans a massive range of sizes from 38 to 65 inches. Designed with comfort in mind even for big instruments and has a cool jacquard design with a lot of different patterns and colors available. Dunlop have a lot of different straps on the market and this is one of the best, but the rest of their range is well worth a look and the brand have been making excellent guitar accessories for over 50 years. 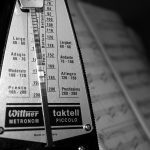 Finding the best strap will depend a little on which instrument you play and your own size, but generally, a good strap is a good strap, and sticking with one of the best brands which has been reviewed and recommended is a wise decision. Whether you want a leather strap or a different material, the chances are that you won’t have to spend a lot of money to upgrade, and it is well worth it in the long run. A good strap can make a statement, make your life more easily and more comfortable, and make playing guitar a more enjoyable experience. 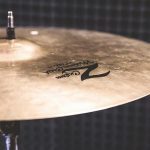 Best Cymbal Bags for Drummers – Protect those Cymbals!